Living Sq. Ft. : 1910 s.f. Total Sq. Ft. : 2589 s.f. 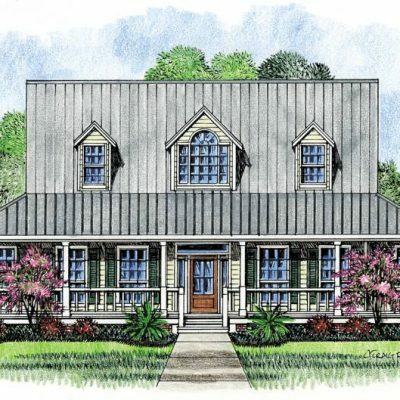 Single pillar Louisiana Style House Plans are a classic design exemplified in the Jacoby home plan. 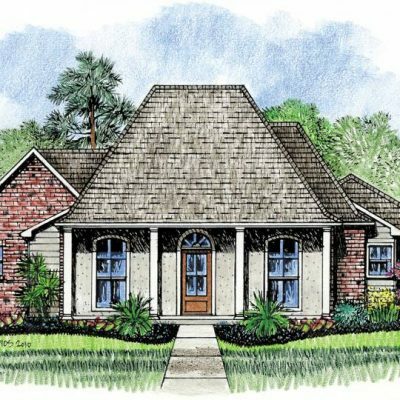 This home has a j-driveway 2 car garage layout with enclosed storage located in the garage. There is a good sized 12’ 6” x 12 6” kitchen that the cook of the house is sure to treasure. It also overlooks the dinning and living rooms. 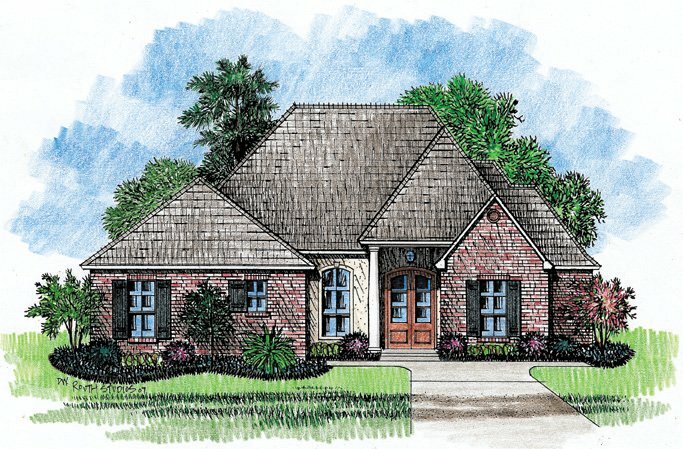 In the family room you will find a corner fireplace with 11’ ceilings and a view to the back of your lot. The master bedroom is separated from the other 3 bedrooms for added privacy and has a palace-like recessed ceiling. 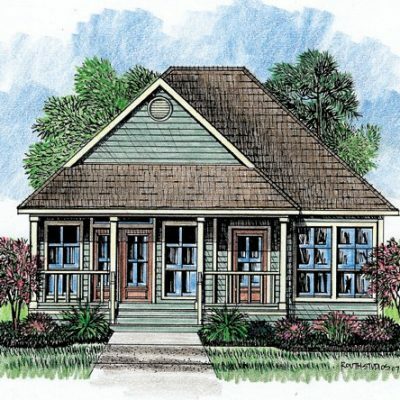 In your master bath, you will find a whirlpool tub to enjoy and large walk in closet. 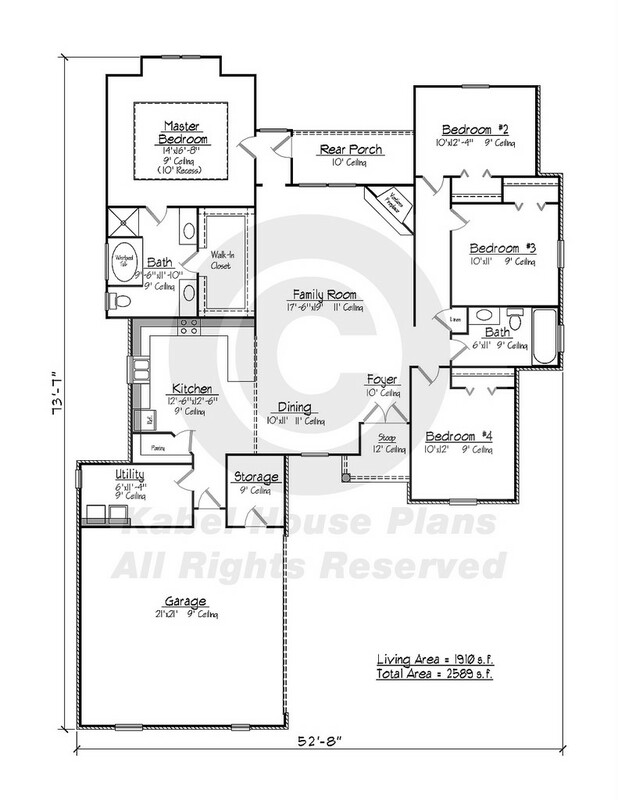 On the opposite side of the home plan, there are the 3 other bedrooms each around 10’ x 12’, and they share a full bathroom. 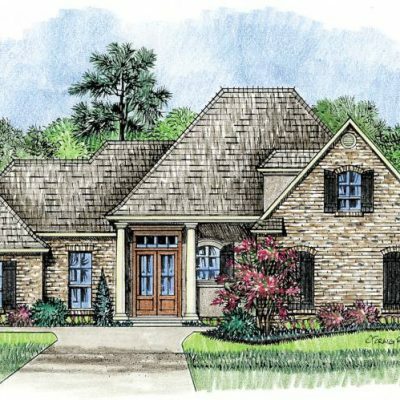 You will find this classic Louisiana Style home plan to feel nice and open with pleasant views of your lot.